Every continent contains layers of sedimentary rocks that span vast areas. Many of these layers can even be traced across continents. What evidence do we have that the Genesis Flood, as described in Genesis 7 and 8, really occurred? 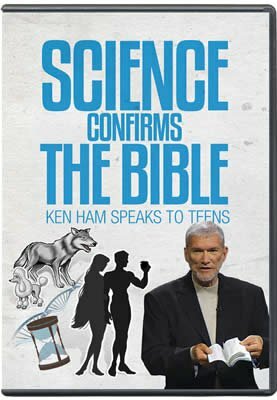 This article is the next installment in a series of the six main geologic evidences that testify to the Genesis Flood (listed to the right). Genesis 7 explains that water covered all the high hills and the mountains, and that all air-breathing life on the land was swept away and perished. As part of the evidence of the Flood, we would expect to find rock layers all over the earth filled with billions of dead animals and plants that were rapidly buried and fossilized in sand, mud, and lime. And that’s exactly what we find. On every continent are found layers of sedimentary rocks over vast areas. Many of these sediment layers can be traced all the way across continents, and even between continents. Furthermore, when geologists look closely at these rocks, they find evidence that the sediments were deposited rapidly. The lowermost sedimentary layers in Grand Canyon are the Tapeats Sandstone, belonging to the Sauk Megasequence. 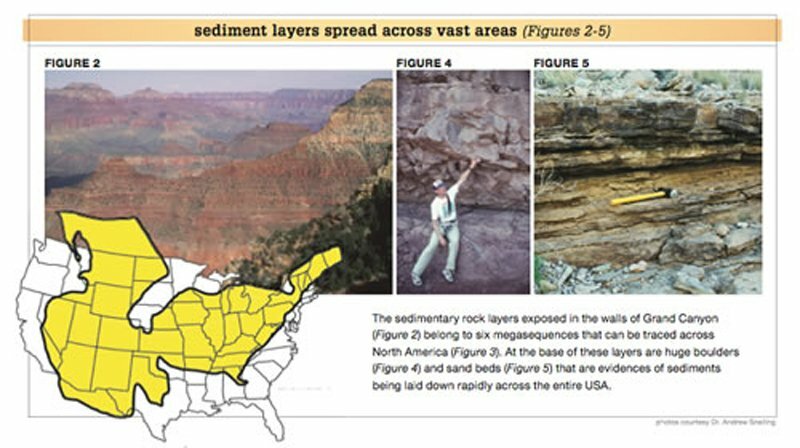 It and its equivalents (those layers comprised of the same materials) cover much of the USA (Figure 3). We can hardly imagine what forces were necessary to deposit such a vast, continent- wide series of deposits. Yet at the base of this sequence are huge boulders (Figure 4) and sand beds deposited by storms (Figure 5). Both are evidence that massive forces deposited these sediment layers rapidly and violently right across the entire USA. Slow-and-gradual (present-day uniformitarian) processes cannot account for this evidence, but the global catastrophic Genesis Flood surely can. Another layer in Grand Canyon is the Lower Carboniferous (Mississippian) Redwall Limestone. This belongs to the Kaskaskia Megasequence of North America. So the same limestones appear in many places across North America, as far as Tennessee and Pennsylvania. These limestones also appear in the exact same position in the strata sequences, and they have the exact same fossils and other features in them. Unfortunately, these limestones have been given different names in other locations because the geologists saw only what they were working on locally and didn’t realize that other geologists were studying essentially the same limestone beds in other places. Even more remarkable, the same Carboniferous limestone beds also appear thousands of miles east in England, containing the same fossils and other features. Figure 1. 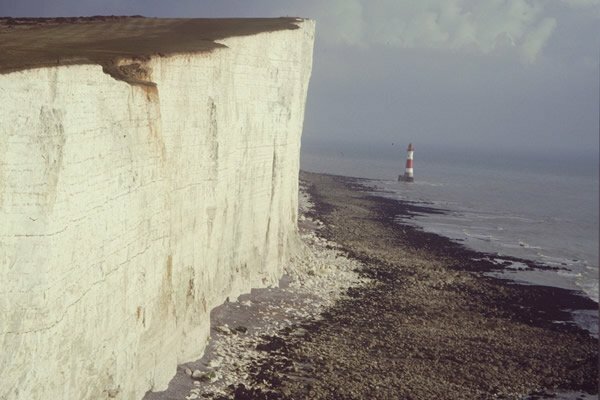 The chalk beds of southern England (above) can be traced across France, Germany, and Poland, all the way to the Middle East. Remarkably, the same chalk beds with the same fossils and the same distinctive strata above and below them are also found in the Midwest USA, from Nebraska in the north to Texas in the south. They also appear in the Perth Basin of Western Australia. Consider another feature—coal beds. In the northern hemisphere, the Upper Carboniferous (Pennsylvanian) coal beds of the eastern and Midwest USA are the same coal beds, with the same plant fossils, as those in Britain and Europe. They stretch halfway around the globe, from Texas to the Donetz Basin north of the Caspian Sea in the former USSR.3 In the southern hemisphere, the same Permian coal beds are found in Australia, Antarctica, India, South Africa, and even South America! These beds share the same kind of plant fossils across the region (but they are different from those in the Pennsylvanian coal beds). Figure 6. The Coconino Sandstone layer in Grand Canyon contains sloped layers of sandstone called cross beds. These beds are remnants of the sand waves produced by water currents during the Flood. 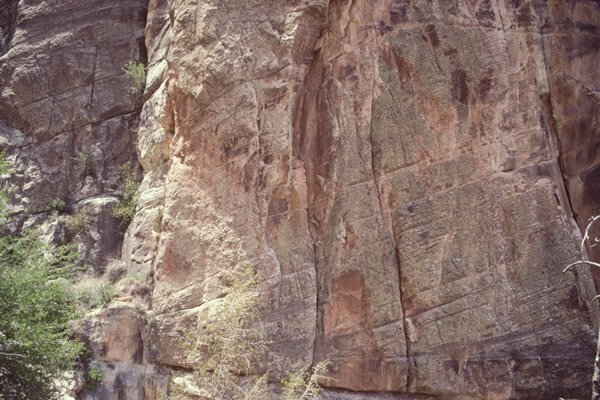 The buff-colored Coconino Sandstone is very distinctive in the walls of Grand Canyon. It has an average thickness of 315 feet (96 m) and covers an area of at least 200,000 square miles (518,000 km2) eastward across adjoining states.4 So the volume of sand in the Coconino Sandstone layer is at least 10,000 cubic miles (41,682 km3). This layer also contains physical features called cross beds. While the overall layer of sandstone is horizontal, these cross beds are clearly visible as sloped beds (Figure 6). These beds are remnants of the sand waves produced by the water currents that deposited the sand (like sand dunes, but underwater) (Figure 7). So it can be demonstrated that water, flowing at 3–5 miles per hour (4.8–8 km/h), deposited the Coconino Sandstone as massive sheets of sand, with sand waves up to 60 feet (18 m) high.5 At this rate, the whole Coconino Sandstone layer (all 10,000 cubic miles of sand) would have been deposited in just a few days! Strong, fast-flowing water currents move sands across the ocean floor as sand waves or dunes (Figure 7a). As the sand grains are swept over the dune crests, they fall on the advancing dune faces to produce sloping sand beds, and on top of the trailing edges of the dunes in front. The dunes thus advance over one another, resulting in stacked sand layers (Figure 7b) with internal sloping beds (cross beds). Ayers Rock (or Uluru) in central Australia consists of coarse-grained sandstone beds that are almost vertical, tilted at about 80º (Figure 8). The total thickness of these sandstone beds, outcropping in Ayers Rock and found under the surrounding desert sands, is 18,000–20,000 feet (5,500–6,100 m).6 The minerals in the sand grains are distinctive, and the closest source of them is at least 63 miles (101 km) away. Ayers Rock in central Australia (Figure 8 above) consists of coarse-grained sandstone beds that are almost vertical, tilted at about 80°. The distinctive minerals in the sand grains appear jagged and are different sizes (Figure 9 below) when viewed under the microscope. These features imply rapid transportation and deposition of all this sand before it had time to be worn smooth. So soup-like slurries of sediment, known as turbidity currents, which travel at speeds of up to 70 miles per hour (113 km/h), must have transported all this sand, 18,000–20,000 feet thick, a distance of at least 63 miles and deposited it as the Uluru Sandstone beds in a matter of hours! This defies evolution ideology but fits with the Creation/Flood history of Genesis. As Noah’s Flood catastrophically swept over all the continents to form a global ocean (described in Genesis 7–8), we would expect the waters to deposit fossil-bearing sediment layers rapidly across vast areas around the globe. And that is exactly what we find—further evidence that the global cataclysmic Genesis Flood was an actual event in history, just as God has told us in His eyewitness account of earth’s history. Dr. Andrew Snelling holds a PhD in geology from the University of Sydney and has worked as a consultant research geologist in both Australia and America. 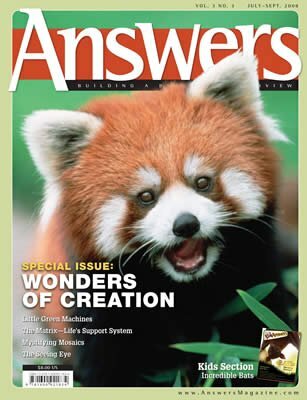 Author of numerous scientific articles, Dr. Snelling is now director of research at Answers in Genesis–USA. L. L. Loses, “Sequences in the Cratonic Interior of North America,” Geological Society of America Bulletin no. 74 (1963): 93–114. D. V. Ager, The Nature of the Stratigraphical Record (London: Macmillan, 1973), pp. 1–2. D. L. Baars, “Permian System of Colorado Plateau,” American Association of Petroleum Geologists Bulletin no. 46 (1962): 200–201; J. M. Hills and F. E. Kottlowski, Correlation of Stratigraphic Units of North America-Southwest/Southwest Mid-Continent Region, American Association of Petroleum Geologists (Tulsa, Oklahoma, 1983); R. C. Blakey and R. Knepp, “Pennsylvanian and Permian Geology of Arizona,” in J. P. Jenney, and S. J. Reynolds, eds., Geologic Evolution of Arizona: Arizona Geological Society Digest, vol. 17 (1989): 313–347. A. A. Snelling and S. A. Austin, “Startling Evidence for Noah’s Flood,” Creation Ex Nihilo 15, no. 1 (1992): 46–50; S. A. Austin, ed., Grand Canyon: Monument to Catastrophe (Santee, California: Institute for Creation Research, 1994), pp. 28–36. C. R. Twidale, “On the Origin of Ayers Rock, Central Australia,” Zeitschrift für Geomorphologie Neue Folge Supplement no. 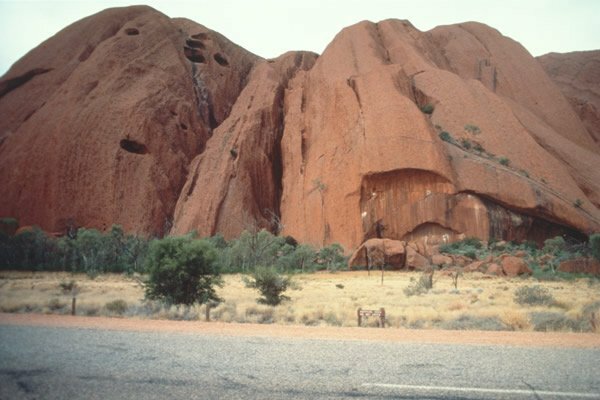 31 (1978): 177–206; J. Selby, “Ayers Rock,” Geology Today 5, no.6 (1989): 206–209; I. P. Sweet and I. H. Crick, Uluru and Kata Tjuta (Canberra: Australian Geological Survey Organisation, 1992). A. A. Snelling, “The Origin of Ayers Rock,” Ex Nihilo 7, no. 1 (1984): 6–9; A. A. Snelling, “Uluru and Kata Tjuta: A Testimony to the Flood,” Creation 20, no. 2 (1998): 36–40. D. V. Ager, The Nature of the Stratigraphical Record (London: Macmillan, 1973), pp. 1–13.